Jim Gustin purchased the 7-11 in south Keizer last year. A convenience store is a convenience store, right? Yet one is doing something a little different that cuts through the daily clutter of advertising and marketing. The 7-11 store located at Cherry Avenue and River Road [MAP: 1] was bought by Jim Gustin, who had been working in construction. He bought it from John and Jane Hyder, who owned it for more than 20 years. They still own the 7-11 location at River Road and Lockhaven Drive. Gustin has put his personal touch on the store via a small whiteboard placed just outside the front door. Typically used for marketing a current special, Gustin decided to do something different one day. A simple “Remember: It’s Valentine’s Day” kicked off this trend. “The male population tends to forget this sometimes, and I thought I’d help the guys out,” he said. They might come from his own imagination, books, quotes others suggested or something he found online. But what they have in common, he said, is that the messages give a break from the daily commercialism we drive by all the time. He’s thrilled to be running the store, and said it was the Hyders’ good stewardship of the store that led him to purchase that one in particular. He was impressed by the friendly nature of the staff and the store’s cleanliness, he said, which helped him decide to purchase it last August. He’d never managed a store before, but figured that, between the Hyders’ experience and the expertise a national chain can offer, he’d do well. 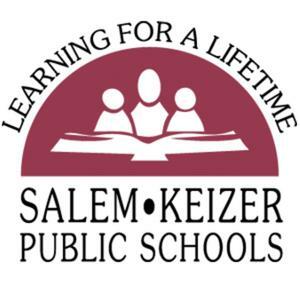 A 2010-11 budget for the Salem-Keizer School District was approved by the School Board on Tuesday. The budget of $684,277,691 involves taxes at the rate of $4.521 per $1,000 assessed valuation for operations and in the amount of $25,838,763 for bonds. Ron Jones, board vice chairperson, was the only director to vote against passage. He argued it would be irresponsible, considering the economic situation of Oregon, to approve an increase in expenditures over those of the current budget. He suggested that the board further discuss plans for new buildings and consider alternative ways to address crowded schools. Chairperson Steve Chambers responded that the district is required to have a budget in place by the end of June and that spending adjustments still would be possible. Grant budgets the board approved included $48,450 for student achievement improvements at Claggett Creek Middle School. The board re-elected Jim Green to the budget committee for a three-year term. James Aiken was also a candidate for the position. Included in the Spotlight on Success presentations was an award of $1,000 to Jim Taylor, director of choirs at McNary High School, as Music Educator of the Year. Taylor, who was absent because of a concert, won the $1,000 from the Oregon Symphony Association after placing first in the Best of the Northwest competition and second in an Oregon School Activities Association competition. Board members Chuck Lee and Nancy MacMorris-Adix reported on an award ceremony they attended at Claggett Creek on May 21. Susan Castillo, state superintendent of public instruction, gave the school the Closing the Achievement Gap Award. “Those students were amazing,” MacMorris-Adix said, noting that they stayed for the full length of the program despite the habit of students to leave at the end of the school day. Lee congratulated Pete Danner, principal of Claggett Creek. The board renewed the charters of Howard Street Charter School and Jane Goodall Environmental Middle School. Final approval was given to the salary schedule adjustment for principals and assistant principals. It will raise their salaries to 99.5 percent of the average for school districts of similar size in the region and will take effect July 1. Chambers announced that the next regular board meeting will be July 20. • Changing the status of Dawn Piersma, business education teacher at McNary, and Jane Holbrook, educational resource center at Whiteaker Middle School, from full-time to part-time. • Employing Marypatricia Hill as a less than half-time counselor at Whiteaker. • Hiring Angel Ochoa as a full-time first-year probation Spanish teacher at Claggett Creek. • Employing, as full-time second-year probation teachers, Kristen Pittenger, kindergarten bilingual teacher, Weddle Elementary School; Michelle Harris, mathematics teacher, Whiteaker; and Patrick Mulligan, social studies teacher, Whiteaker. • Hiring Tracy Rhoades as a contract full-time art teacher at McNary. • Hiring Beverly Winders as a literacy teacher at Weddle. • Superintendent Sandy Husk announced the retirement of Tye Wilson as a physical education teacher at McNary. That evening, paramedics arrived to find the woman in active labor and delivery of the child imminent. Paramedics Greg Biben and Rachel Grier knew the mother would not make it to Salem Hospital before delivery so they stayed at the residence to assist the mother. The baby was born with no complications; mother and baby are both doing well. The child, a healthy baby boy weighing 7 pounds 8 ounces was born at 11:02 p.m. at the family’s residence. Mother and baby were then transported to Salem Hospital Family Birth Center following delivery to be evaluated.